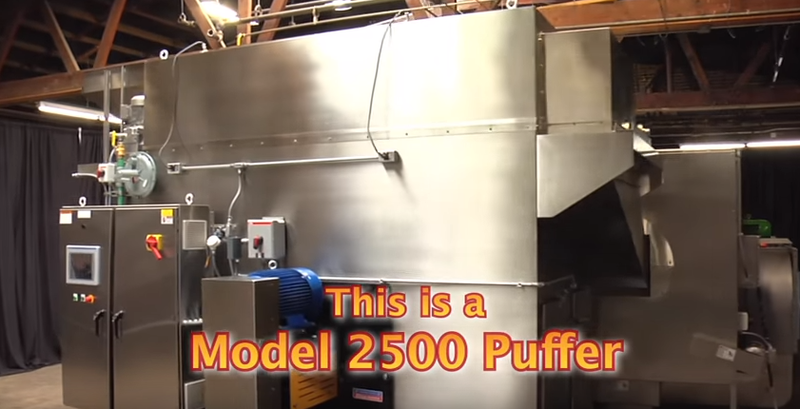 The main component in our air-popping lines is our fluidized, rotary oven. They are used for popping popcorn (”Poppers”) and for expanding snack pellets (”Puffers”). 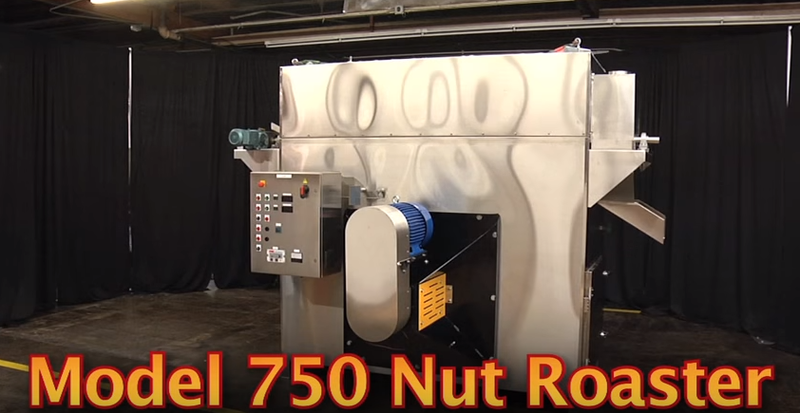 They are also used for toasting breakfast cereals and roasting nuts. The main difference between the design of a Puffer and a Popper is the greater number of control variables on a Puffer. 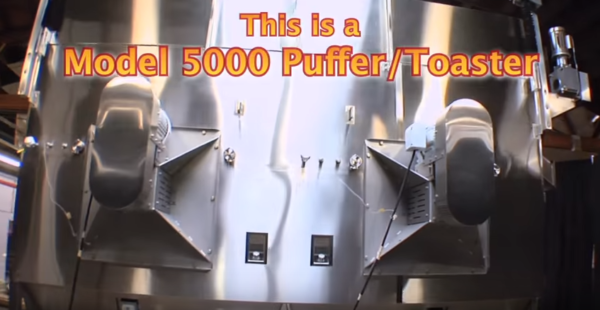 A Puffer has a variable speed vibratory feeder, a variable speed drum drive (oven residence time) and a variable speed blower (degree of fluidization). Our Puffers also typically feature lighted sight-glasses that allow the operator to visually confirm the correct product fluidization inside the oven. Click on the various components below to learn more.